Commission Will Address Texas "Justice Gap"
A large number of Texans — mostly middle class — fall into a "justice gap" where they aren't poor enough to receive free legal aid provided to indigents but can't afford basic legal services on their own. 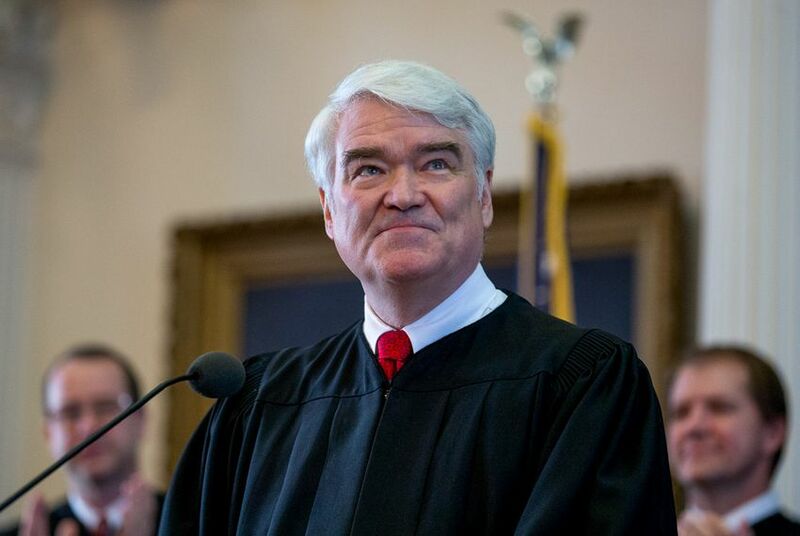 A large number of Texans — mostly middle class — fall into a "justice gap" where they aren't poor enough to receive free legal aid provided to indigents but can't afford basic legal services on their own, according to Nathan Hecht, chief justice of the Texas Supreme Court. But how many remains unknown, making the issue hard to address. Identifying Texans who can’t afford effective legal representation for civil matters — and suggesting effective ways to help — are the charges for a new commission the state's highest civil court launched Monday. The 18-member Texas Commission to Expand Civil Legal Services, led by former Chief Justice Wallace Jefferson, will spend the next year gathering data and coming up with recommendations to be presented in November 2016. Jefferson, who served on the Texas Supreme Court from 2001 to 2013, said commission members will need to get creative in their problem-solving techniques. One idea, he offered as an example, would be setting people up with an annual “legal check-up” of the sort that happens in a doctor’s office. “Questions like this give rise to other questions, and people don’t even realize they have legal needs,” Jefferson added. This kind of proactive check-in could be especially beneficial for veterans, he said, who don’t receive benefits they are due for any number of reasons. “We will look at veterans, Texas veterans, who come to the courts to secure benefits that our country owes them — but which have been too slow in coming in,” he said. The language Jefferson used to frame the commission's goals closely echoed an argument he made in front of Hecht and the court earlier this year. In September, Jefferson served as lead attorney in a case centering on indigent petitions, also known as pauper petitions. In that case, Jefferson represented six poor plaintiffs, all pursuing divorces, who were charged administrative court fees by the Tarrant County clerk’s office. During oral argument, Jefferson said plaintiffs’ access to the justice system, a “hallmark of justice,” should not be contingent on their ability to pay those fees. The court has not yet ruled in the case. The commission will examine Texans’ access to both the state and federal court systems, which often take cues from each other when it comes to civil legal procedure, according to U.S. District Judge Lee Rosenthal, from Houston. Rosenthal said the issues the commission will grapple with are especially visible on the federal level. Jefferson said even lawyers often fall into the justice gap.